If you type a term in the search engines and press the 'enter' key, you receive a summary of website results which include that search term. Have you ever asked yourself why a select number of these websites rank much better than others? If so, then you definitely should know that it's because of a powerful online marketing strategy called Search Engine Optimization (SEO). SEO is really a technique which helps SE's (search engines) find and rank your website better than the majority of other websites in reaction to a search query. In the last ten years, SEO has been changed drastically with an enormous growth in competition. Becoming as experienced and knowledgeable in this subject as possible, therefore, can only be of benefit to all businesses who advertise online. In this ebook, we aim to give an overview of some different aspects of SEO and provide a selection of resources for further study. SEO is not difficult but, like anything worth learning, it does take some time and application before you can start to see results. Rest assured, the results you will get from a successful implementation of SEO will pay back all your efforts in learning it many times over. 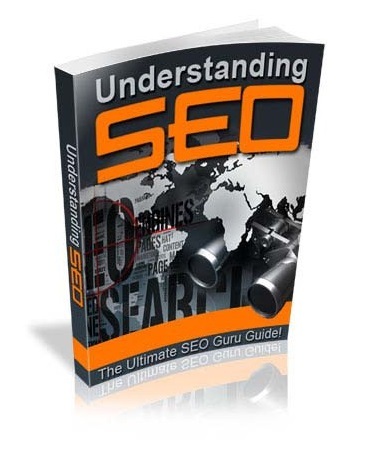 Hopefully, by the time you have finished reading this ebook, you will be more aware of the opportunities SEO presents to you and more confident in your ability to do it yourself. Chapter 2: Why Do I Need SEO? Chapter 3: What Are Search Engines? Chapter 4: Who Needs SEO? Chapter 5: Do I Need To Hire An Expert To Help With SEO? Chapter 6: When Is It Best To Start SEO? Chapter 7: Is It Too Late For Me To Start SEO? Chapter 8: What Is At The Heart Of What I Need To Do? Chapter 9: What On-Site SEO Can I Undertake? Chapter 11: What Can I Expect SEO To Do For Me? Chapter 12: Where Can I Find More Info About SEO?